So I’ve owned an over the door shoe organizer for awhile. I didn’t use it a lot because I didn’t have many pairs of shoes. When I started to declutter my life and minimize my possessions, I kept it because I still liked the design and I knew I could use the material to create something else. Because I’m not a fan of keeping items out in the open, much less hanging them out in the open, I knew I wanted to upcycle this shoe organizer into smaller organizers. I personally like things to be put away. My minimalist, zero waste lifestyle lends my living space towards clean surfaces and minimal decor. So I wanted to create two smaller organizers which could be hung up in the closets. The goal was to create two separate organizers that were each 2 pockets across by 3 pockets vertically on each side of the smaller organizer. So each side of the hanger would hold a grid of pockets that was 2 pockets across by 3 pockets vertical. First I cut the shoe organizer in half. I then folded each organizer in half (vertically) to find out where I wanted to locate the hangers. I then placed each hanger on each organizer, as I wanted them to sit. I wanted to place each hanger so that the top bars of the hangers would still be protected by the fabric. I only wanted the neck of the hanger to stick up and out of the fabric so the fabric organizer would sit higher on the hanger. The hanger would have more control of the overall weight of the items inside each pocket when it was hung up. I placed the hangers where I wanted each hanger to be located on each organizer and then marked the location of the bottom bar. I needed to make a mark at those locations, because that’s where the bottom of the openings for the hangers would pass through. Using the X-acto blade, on the folded edge, I carefully cut a straight line of where the hanger would stick out. I cut along the mid line of the fabric grid pattern and only cut enough for the hanger to fit. You can sew the edges of these openings if you want a clean and sturdy structure around the edge of the opening. I suggest using a running stitch to do that, if you choose to. Using the bottom of opening as a location marker, I sewed both sides of each organizer together. I wanted the backs folded and sewed to one another to create a more sturdy central structure. I sewed from the bottom of each opening, around and up to the other side, making sure I stopped at the other marker. The idea was that I wanted to seal the two flaps of pockets to each other, but leave enough room for the hanger to slide in and out of the design. Once the hanger is slid into place, the flap should allow the user to remove the hanger if necessary. I used a hem stitch to secure the top of the opening on the folded edge (see below). I did this because I know that the weight of the the organizer will tear the opening over time. I wanted to secure the top of the opening and reinforce the structure. I stitched an extra line above the hanger (towards the folded side of each hanger), but underneath the pocket flaps, to reinforce extra support for the organizer. Using a safety pin, I pinned the opened edge approximately where the top of the hanger was located on the opposite side. This way, the hanger can be removed easily when it comes time to wash it or put it away. The safety pin will act as a closing mechanism to hold the hanger in place. So there you have it, this is how I upcycled my over the door shoe organizer. Although, I technically only created smaller shoe organizers, I had the idea that I could use these smaller organizer to store smaller items such as jewelry, scarfs, socks, etc., that can get lost in a closet. Basically, anything you might store in the top drawer of your dresser, you might use this for. I don’t use a dresser, so this product can be useful for me. Right now I actually use a few of the pockets to keep some running and workout items organized. I like this design for the fact that it’s double sided and it can be folded up and put away if it’s not being used. Hopefully this post might spark some organizational ideas for your life. Zero Waste Week is almost here! This year we have more participants and the event is hoping to reach a larger audience. Rachelle Strauss is the creator and director behind Zero Waste Week, an annual awareness campaign since 2008. It takes place in the first full week in September each year, and promotes awareness in producing rash and the disposal of trash. Zero Waste Week encourages the public to be more aware of how much trash they produce as well has encouraging people and businesses to live and work more sustainable and reduce their carbon footprint. She has been featured in The Guardian, National Geographic and The Sun for her efforts in promoting awareness for a more sustainable future. This is my second year participating in Zero Waste Week as an ambassador. I’m so grateful and proud to be a part of this movement. 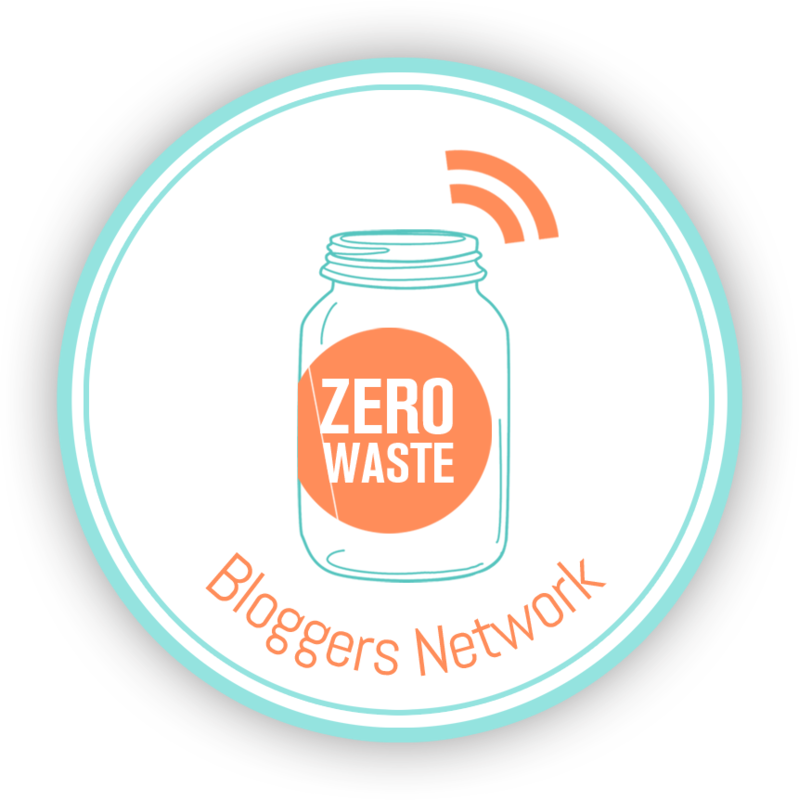 There are many others who are and have been a part of this movement long before I came along, you can meet them at Zero Waste Week Ambassadors. You can also read all about this week and get involved at Zero Waste Week- About. Use the hashtag #ZeroWasteWeek to show us your progress! We will be discussing the difference between ‘necessary’ and unnecessary plastics. The amount of plastic polluting the ocean is astounding. By 2050,plastic in the oceans will outweigh fish, predicts a report from the Ellen MacArthur Foundation, in partnership with the World Economic Forum. Herare a few past blog posts which explain how and why I became very conscientious about my purchases. Auditing our daily personal care routine! Plastic containers in the bathroom are nothing new. However, because we use bathroom items so frequently, the amount of plastic containers we go through can be unnerving when you look at the statistics. As the zero waste movement has caught on, more stores are offering bulk bathroom items and refill stations. If you want to read about some of my zero waste bathroom blog posts, check them out below. Plastics in the kitchen and food packaging seem to be a huge problem for those starting out on their zero waste journey. To make your kitchen zero waste, can be quite challenging. Creating a zero waste kitchen took time and trial and error in my own experience. To read more about the challenges I faced, check out the blog posts below. Household cleaning seems to be a sensitive subject for many. There are a variety of sanitary concerns and medical concerns. As for me, I use a vinegar and water mix, baking soda and a bristle brush to clean. You can read more about my method in the link below. Zero Waste is for life, not just a week! Plastic pollution, trash pollution, water and soil pollution is an ongoing battle. A zero waste lifestyle does require an awareness of oneself and decisions. There are parameters that some of us deal with, and that others don’t, such as medical conditions, personal health and financial constraints. As long as the effort and awareness of product consumption is considered on a day to day basis, reducing trash is inevitable. If you want to read about my moments and lessons throughout my zero waste journey, you can check out the links to my previous blog posts below. I hope you will want to take the pledge and reduce the amount of trash you consume, and if you want to read about my journey and how I got started, you can read that here in, How I Got Started. At the end of the week’s festivities, it’s time to take all you’ve learned during the week and start/continue your own plastic free journey. There are a lot of Pinterest boards, Facebook Groups and forums that offer tips to start a zero waste lifestyle or tips for different experiences with the zero waste lifestyle. 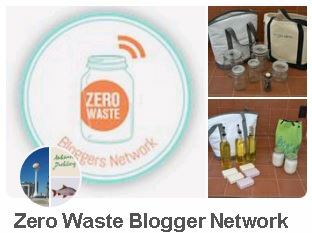 You can check out my own social media boards and follow me, or you can follow the Zero waste Week community on Facebook, Twitter, Pinterest, and Instagram.